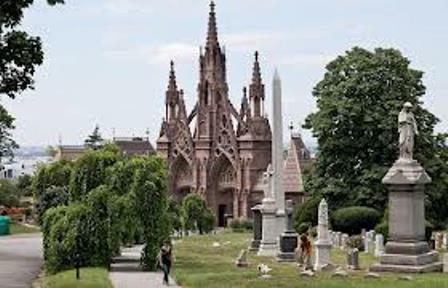 Last week the Museum of the City of New York inaugurated an exhibit on the storied Green-Wood Cemetery in Brooklyn. Entitled “A Beautiful Way to Go,” the exhibit is relatively small in relation to the sheer size, beauty, and historical importance of the cemetery, but it uses the space beautifully and imaginatively, as one has come to expect from the Museum of the City of New York and the curator for this exhibit, Donald Albrecht, whose staff was aided by Jeffery Richman, the cemetery’s historian. When I served as a consultant three years ago to the New York Historical Society’s exhibit on the history of the Latin American presence in the city (Nueva York! 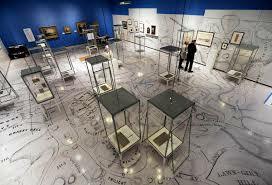 ), I came to appreciate the challenging zero-sum game of exhibit planning: the available space sets a tyrannical limit. If you decide to add something, something else must come out. Imagine the challenge in the Green-Wood exhibit. You want to cover the history, the architecture, the landscaping, but most importantly, you have to answer the question: who is buried there? Anybody we know? The answer is YES: Samuel Morse, Boss Tweed, Leonard Bernstein, John Underwood (the typewriter guy), the Steinways (the piano guys), the Havemeyers (the Brooklyn sugar refiners), James Weldon Johnson, Horace Greeley, Jean Michel Basquiat, Henry Chadwick and Charles Ebbets (both of baseball fame), the Rev. Henry Ward Beecher, Juan Trippe (PanAm founder), the musician Louis Gottschalk, Susan Smith McKinney (first African-American woman to practice medicine in New York State), the guy who played the actual Wizard of Oz in the 1939 movie, Thomas Adams (the inventor of the chewing gum), and, in my view, the man who most influenced the history of the city: Governor DeWitt Clinton. Oh, and by the way, more than half a million other people. The selection process for those who are showcased (literally) in the exhibit must have been brutal. Even Gottschalk, arguably the most renowned composer and musician of his time, did not make the cut (although the guy who wrote It’s Raining Men did). So I understand (although I am disappointed) that not one of my dead Cubans, with whom I have been living with over the past decade or so as I research the history of Cubans in New York, made it to the exhibit. 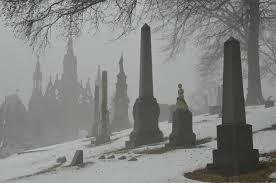 And there’s quite a few of them buried in Green-Wood, and fairly prominent ones at that. In fact, I venture to say that Green-Wood is the cemetery outside of Cuba where the greatest number of notable Cubans is buried, with the possible exception of Woodlawn in Miami (two Cuban Presidents and at least one wanna-be Cuban President, among others, are buried in that Calle Ocho cemetery). But as far as 19th-century Cubans are concerned, I would argue for Green-Wood (Paris and Madrid are possible challengers). Here then, is my supplement, or Cuban appendix, to the fine, although necessarily limited, MCNY exhibit. But first: the context. 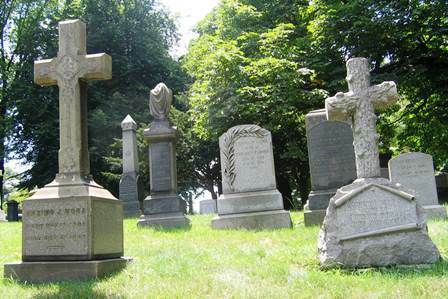 Most of the notable Cubans buried at Green-Wood belong to the migration wave that arrived in New York in the aftermath of the outbreak, in 1868, of the first war of independence from Spain. That wave made Cuban New York the largest community of Latin American immigrants east of the Mississippi and remained so until Ybor City (another Cuban community, in Tampa) surpassed it in 1886. It was a migration spearheaded by the Havana elite, mostly owners of sugar plantations and slaves, as well as the lawyers and intellectuals associated with that class, who found themselves in physical danger when their eastern compatriots decided in 1868 that the political status of Cuba had to be decided by the sharp edge of a machete. The Spanish unleashed a wave of repression against the Havana criollo aristocracy, so they exiled themselves in New York, where most of them had been selling their sugar for decades and where they had sizable accounts with the counting houses lining South Street. 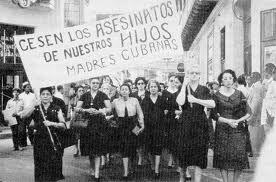 Here they joined forces with longtime Cuban residents of the city to support, with widely ranging degrees of enthusiasm, the cause of the rebels fighting the Spanish in Cuba. by the Spanish, he had stashed away in New York nearly one million dollars, which enabled him to live very comfortably in the city, give his daughter a sumptuous wedding and a European honeymoon, erect a huge sugar refinery in the Brooklyn waterfront, and build a relatively modest mausoleum in Green-Wood to bury his father, Domingo, and his wife, Hilaria Fonts, both of whom died within a few years after arriving here. 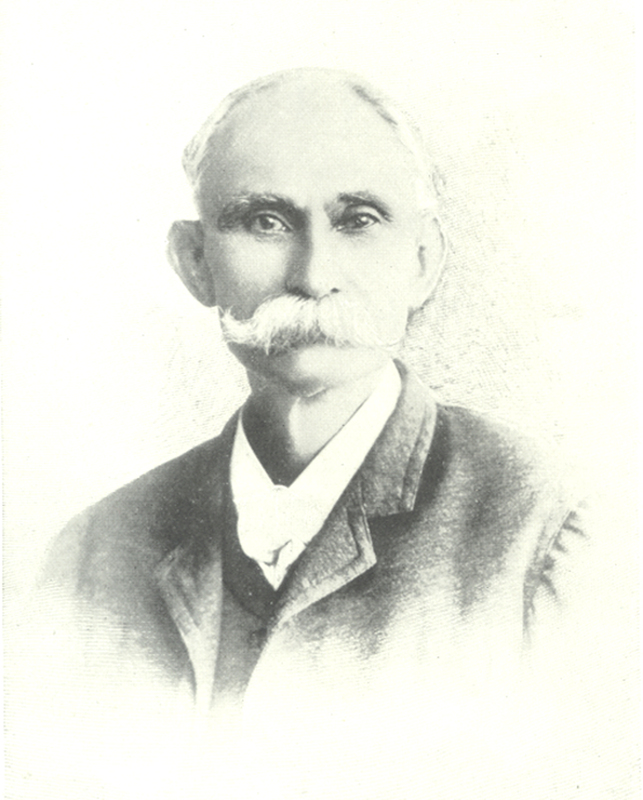 Aldama was on a first-name basis with most of the city’s rich and powerful, including mayor Oakey Hall. 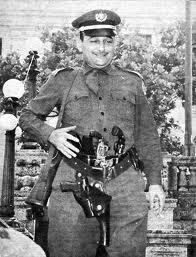 Eventually, both the war and the refinery failed, and Aldama was forced to return to Cuba to try to recover (unsuccessfully) his properties from the Spanish. 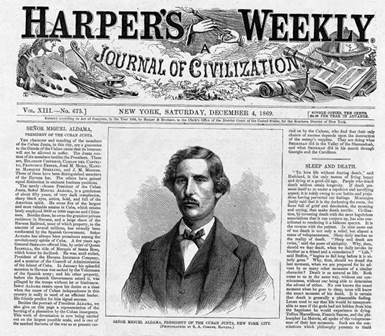 When he died virtually penniless in Havana in 1888, his body, in accordance with his wishes, was shipped to New York and buried in Green-Wood. 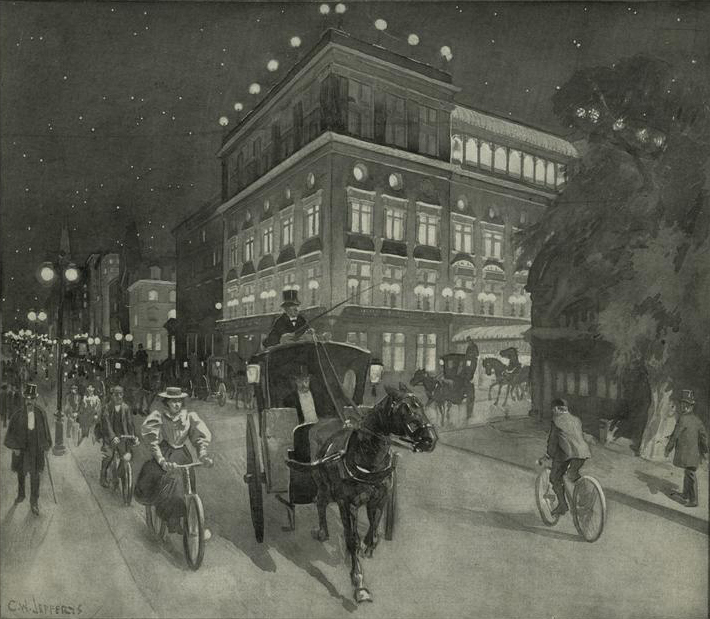 All the New York newspapers covered the arrival of the body and its burial. 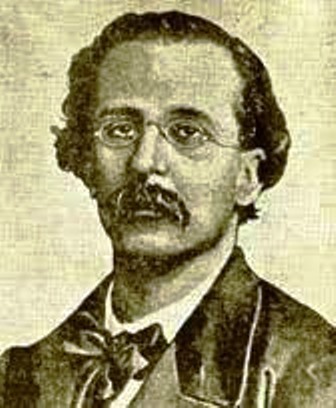 Also buried at Green-Wood is a colleague of Aldama, José Morales Lemus, a prominent lawyer for the Havana planter class, who was the rebels’ representative prior to Aldama and who devoted himself to an unsuccessful campaign to get the Grant administration to recognize the legitimacy of the cause for Cuban independence. He was practically a fixture in the office of Secretary of State Hamilton Fish. 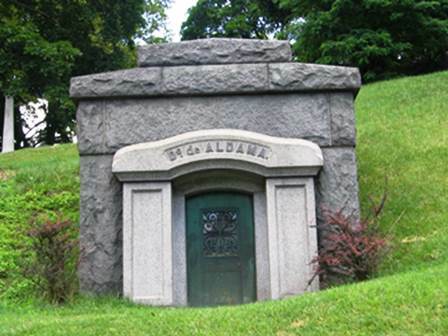 Already an older man when he arrived, he died of a gastrointestinal ailment in his Brooklyn home in 1870. There are three large and prominent families from that migration wave buried at Green-Wood. 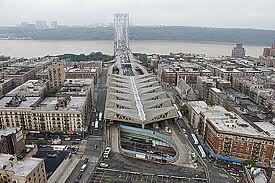 All three arrived here with money, but made a fortune investing in Manhattan real estate. 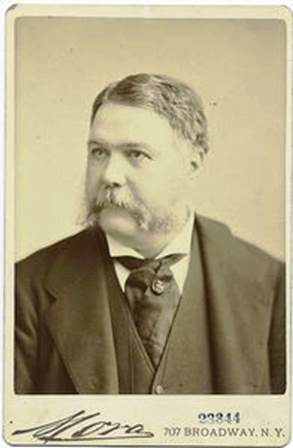 The Govíns, headed by Félix, owned some twenty-six multifamily rental properties in what is now Hell’s Kitchen and Félix was probably the richest Cuban in New York in the 1880s. 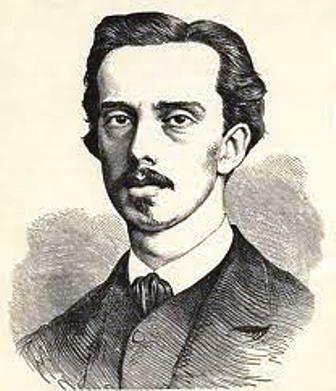 His daughter, Luciana, inherited most of the family fortune and she provided the critical financing for the expedition José Martí organized in 1895 after the Fernandina fiasco (see Cuban New Yorker blog #16, February 4, 2013). 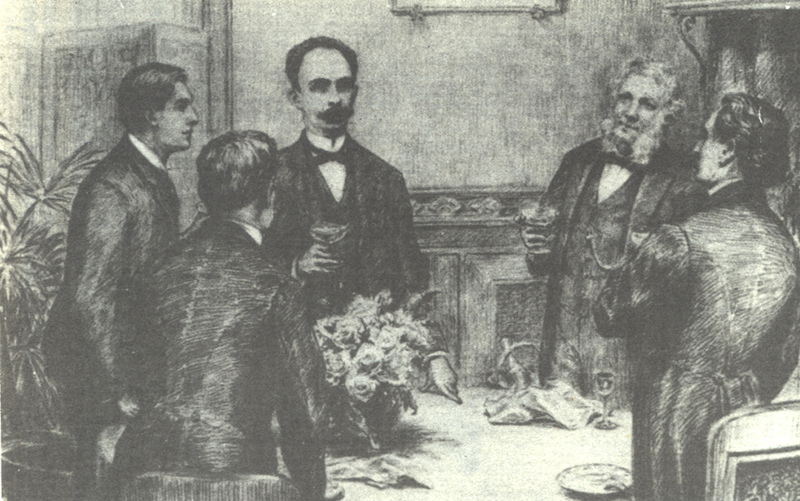 The Angarica brothers, José and Joaquín, also had substantial Manhattan real estate holdings, but were better known as very high-ranking Freemasons, establishing and leading an important lodge in Manhattan. Years before the conflict, the Mora clan had already established a presence in the city as sugar merchants, selling their sugar to New York refineries and investing in income-producing property in the East Village. José Mora was a generous contributor to the Cuban cause, losing much of his fortune in the conflict. 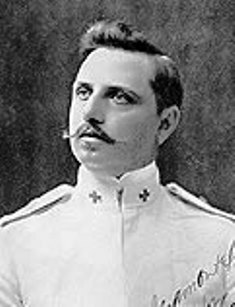 José also lost a brother-in-law, the husband of his sister Carlota, General Domingo Goicouría, who was famously and publicly executed by the Spanish in Havana during the war. 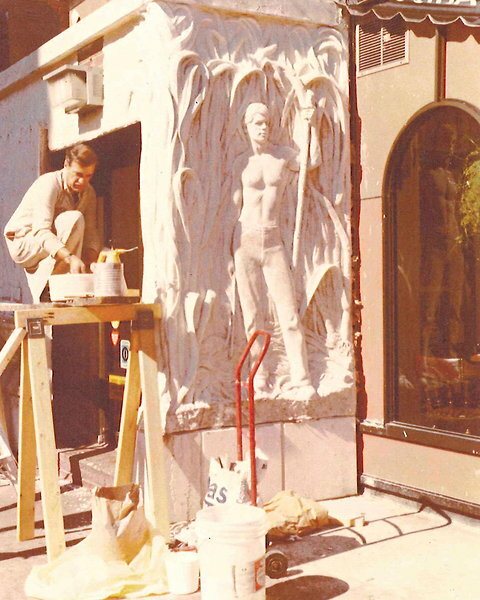 A second-generation Mora, José María, established a photography studio on Broadway, eventually becoming a prominent theatrical photographer. In his last years he lived as an eccentric recluse and his death was covered by the major New York newspapers. 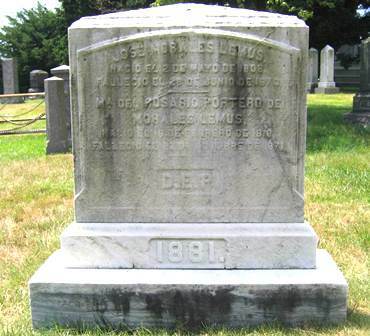 Benjamín Guerra, a collaborator of Martí and the treasurer of the Partido Revolucionario Cubano, who died in New York in 1900, has one of the most modest tombs in the cemetery. There are undoubtedly many other Cubans interred in Green-Wood. 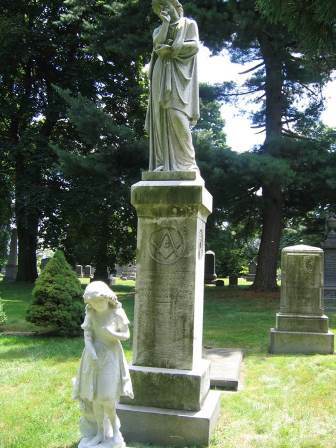 It is difficult to know without much more exhaustive research because the searchable burial records are not complete. I have a long list of Cuban New Yorkers who died in the city, but I have yet to determine where they are buried. The body of Zenea, the poet who loved Green-Wood and wished to be buried there, is not in the cemetery. In 1870 he was sent to Cuba by Aldama, allegedly to meet with the rebels and communicate a Spanish peace offer. Despite having a “safe passage” document issued by Madrid’s ambassador in Washington, he was imprisoned by the Spanish authorities and held in La Cabaña fortress in Havana, where he was eventually executed. Every New Yorker has a story. The stories of some are deemed more important than the stories of others, but that is a matter of perspective. These stories are important to me because they are the stories of people who were born where I was born and who lived in the same city where I now live. Many are untold stories. Since I started researching their lives, these dead Cubans have been coming at me out of archives, records, and old newspapers, clamoring to have their New York stories told, especially since their stories are not usually found in the history books, historical markers, or exhibits about the city. A parting note to the Museum of the City of New York: thank you for the exhibit, it is wonderful and I thoroughly enjoyed it. 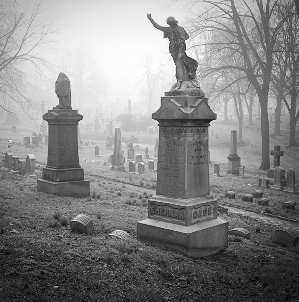 If by any chance you are thinking about an exhibit on Woodlawn Cemetery in the Bronx, give me a call, I have a couple of dead Cubans for you. 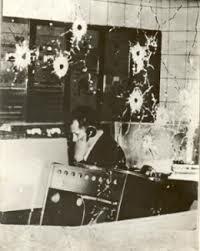 One hundred and forty years ago today in the Jimaguayú savanna, Camagüey, a bullet pierced the skull of Mayor General Ignacio Agramonte y Loynaz. At just thirty-one years of age, Agramonte was arguably the most distinguished of all the military leaders of a war for the independence of Cuba that had been dragging on for almost five years, with no end in sight. The youthful Ignacio, scion of one of the oldest and most prominent of the traditional Camagüeyano families, was educated in Europe, earned a law degree from the University of Havana, and was an accomplished fencer. He was the principal author of the constitution of the government-in-arms established by the Cuban rebels. Outflanked and surrounded by attacking Spanish troops, the fatal shot felled him from his horse and onto the tall grass, where his lifeless body lay abandoned until the enemy realized the prize they had netted and recovered it. 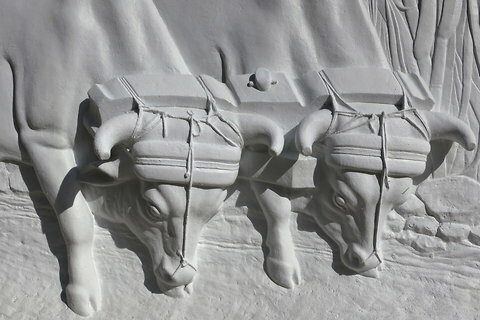 The corpse was taken to the city of Camagüey, also known as Puerto Príncipe, Agramonte’s native town, paraded down the main street, and then summarily cremated. His family was not in Camagüey to mourn him. 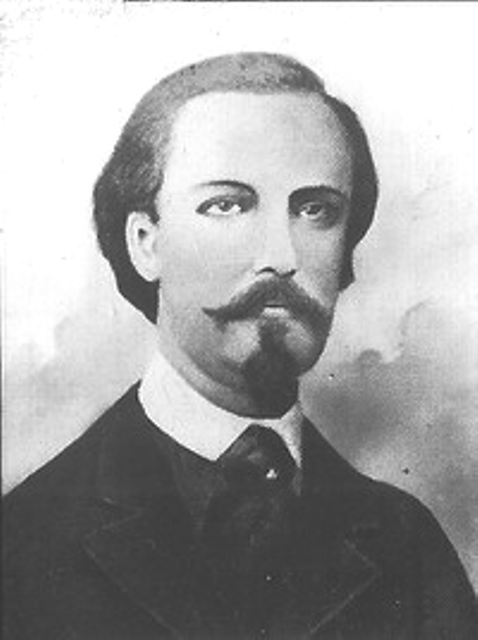 Ignacio and his cousin, Brigadier General Eduardo Agramonte y Piña, occupied such prominent roles in the insurrection that by 1871 their families had already left Puerto Príncipe, and Cuba, to avoid reprisals by the Spanish, especially by the fanatical paramilitary voluntarios. The Agramonte family, like most exiles from the war, came to New York. The 1870 U.S. Census found Ignacio’s mother, María Filomena Loynaz, 46, a widow, living with her sister-in-law, Ignacio’s aunt and godmother, Mercedes Agramonte, 45, and with Ignacio’s brother, Enrique, 25, at 104 W. 20th Street, between Sixth and Seventh Avenues, in the Sixteenth Ward. There were also four teenagers in the household, nephews and nieces of María Filomena. In that household, Enrique was the most recent arrival from Cuba. He had been sent by his brother Ignacio after their father died in New York not long after the family arrived here. 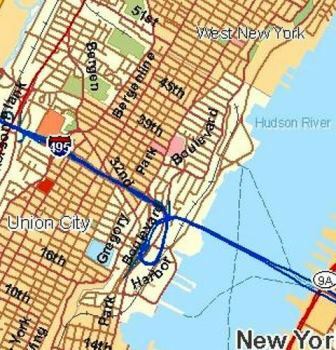 Also in New York was the household headed by Dr. José Ramón Simoni, a sixty-year old physician enumerated in the 22nd Ward, on Sixth Avenue, just south of Central Park. Living with Dr. Simoni in New York were his wife Manuela, 50, their son José Ramón Jr., 22, and Manuela’s niece Victoria Ginferrer, 16. The household also included the Simonis’ two married daughters with their children. The oldest, Amalia, twenty-five years old, had an infant son, Ignacio Ernesto, and was pregnant with a second. She was married to Major General Ignacio Agramonte. The other daughter, Matilde, was twenty-four and had a two-year old son, Arístides. She was married to Brigadier General Eduardo Agramonte. Sisters in New York married to cousins who were in the Cuban battlefields.On February 20,1871, Amalia gives birth in New York to her (and Ignacio’s) daughter, Herminia, and the new baby and her brother are baptized in October of that year in Holy Cross Church on West 42nd Street. More than two years after that baptism, the news of Ignacio’s death would reach the two families. Ignacio’s mother received the news in New York. At that time, the Simoni family was living in Mérida, Yucatán, where Dr. Simoni had taken the family to try to reestablish his medical practice. Ignacio Ernesto was four and Herminia two. 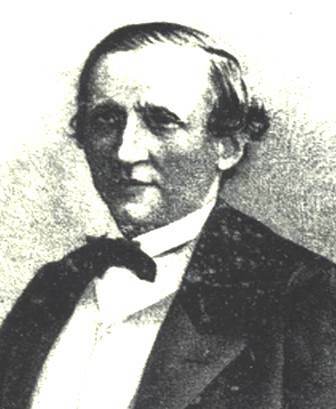 Five months after Ignacio Agramonte’s death in 1873, Carlos del Castillo, who at the time was serving as a representative of the Cuban Republic in New York, received a letter from Dr. Simoni in Mérida, thanking del Castillo for sending him the official dispatch from General Manuel Sanguily that detailed the circumstances of the death of Ignacio. It was much appreciated by the widow, Simoni wrote. 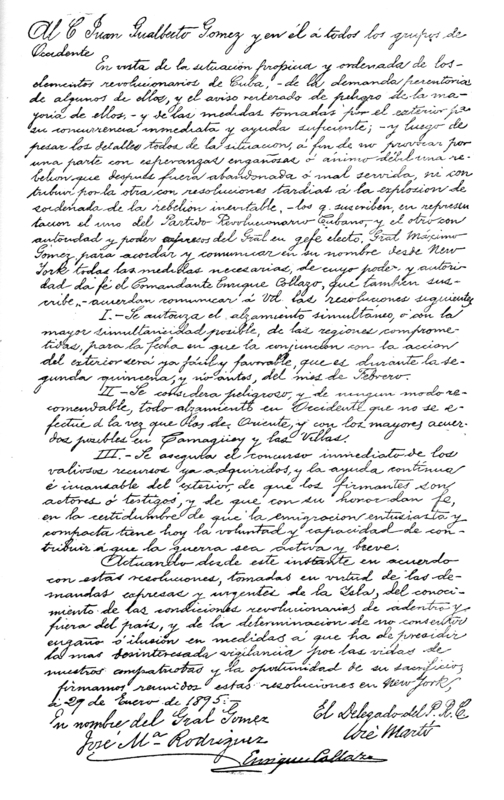 In a chilling postscript to the letter, Simoni requests from del Castillo the dispatch from the battle of San José del Chorrillo, which took place in 1872. “It is anxiously awaited by the widow of Eduardo Agramonte,” he wrote. 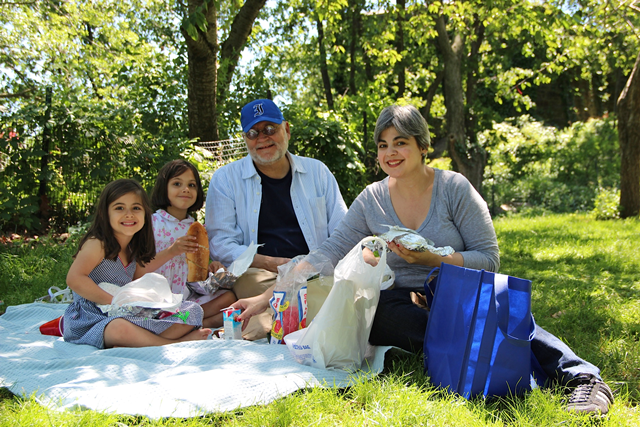 Dr. Simoni found himself with two widowed daughters and three fatherless grandchildren. 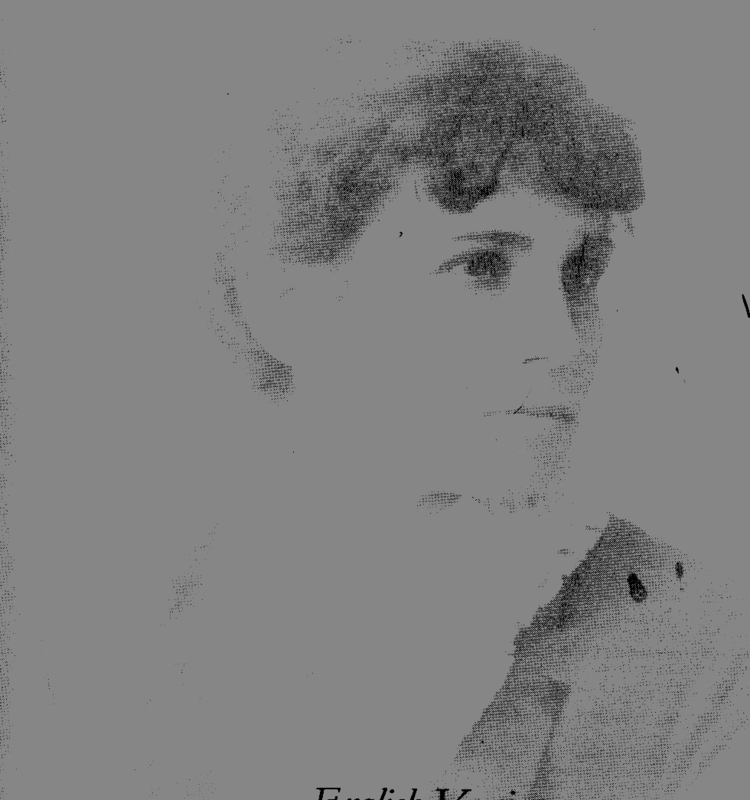 Blanche Baralt, in her 1945 memoir of her youthful days in the New York of the 1880s and 1890s, remembers with affection the Simoni sisters and their children, noting especially the family’s joy on the graduation of Arístides, Matilde’s son, from the Columbia University College of Physicians and Surgeons. 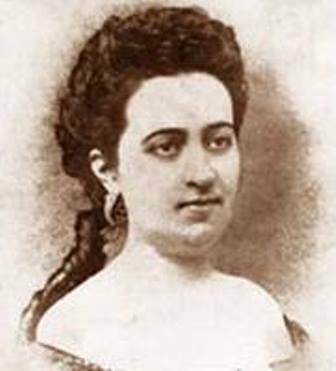 Matilde remarried and had three more children, all girls. Amalia Simoni, Ignacio’s widow, never remarried. 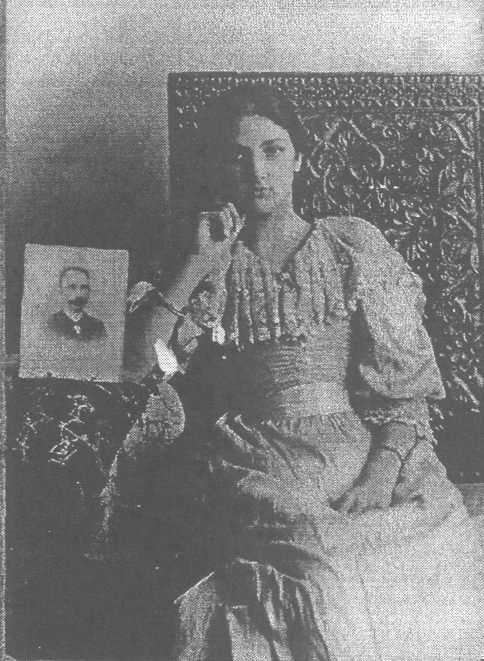 She returned to live in Cuba in 1892, an event recorded in Patria by José Martí. After living in Camagüey for many years, she moved to Havana to live in El Vedado with her daughter Herminia and her grandchildren. She died there in 1918, 45 years after Ignacio’s death, and was buried in the Colón necropolis on January 24, declared by President Mario García Menocal as a national day of mourning. For many people on the subway, the conductor’s announcement falls on deaf ears, like falling rain. But I listen to it. I get it. As I viewed the photographs of the horrific bombing scenes in Boston, my attention was drawn to those pictures taken before the explosions which showed that the unattended backpacks apparently drew no suspicions from people standing in very close proximity to them. No doubt those people were distracted by the passing runners. But it may also be that Americans, for the most part, and perhaps less so New Yorkers, are not attuned psychically to the possibility of terrorism, that is, they do not instinctively assume, for example, that the unattended package they have suddenly encountered poses a real danger. My reaction is different: I react immediately with suspicion to packages I see in public places. It was wired into my brain circuitry in the Havana of my childhood when an illegal and decrepit government clung to power and a revolutionary urban underground movement sought to depose it through violence in the streets. That Havana of the 1950s, where a Cuban boy could have his grade school class interrupted by the sound of gunfire, where photographs of bloodied dead bodies on both sides of the conflict showed up almost daily in the morning papers, where the presidential palace was militarily assaulted and dozens were killed, where the sound of distant gunfire broke the stillness of the night, where military trucks rumbled through residential neighborhoods, where people jumped at the sound of an engine backfire or of a ceremonial cannon fired from a historic fortress. And it was a place and time where you learned to heed your parents’ admonition, repeated incessantly, like the MTA message, to stay alert and the hell away from any packages you might see on the street. One never forgets that, even after more than half a century. I love fireworks but not their sounds. I assume the worst when I hear firecrackers. And to this day, a lonely package in a public place can give me cause to pause. Only four days before the Boston bombings, I froze when I walked into my class and spied a small shopping bag that had been left in a corner of the classroom. Fortunately, it was open, so I forced myself to walk slowly towards it and peer in, without touching it. It was the detritus of someone’s breakfast. I suspect I share this sensitivity (phobia, if you like), with many of my Cuban contemporaries. And I know share it with many people around the world who grew up in places and times in which bombings and shootings were part of their daily lives. 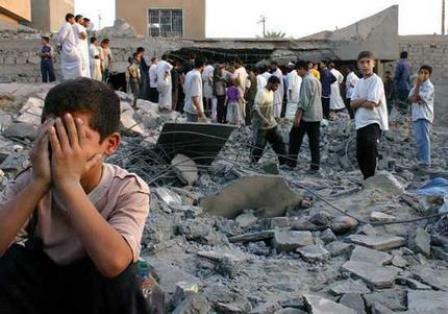 The street violence of pre-revolutionary Havana, after all, was nothing compared with what many children have experienced, and continue to experience, in the Middle East and other regions with protracted and devastating conflicts. That is not normal. It is not the way children should grow up. And that is not the way that children have grown up in the United States, a country that, despite 9/11, has not had to habituate itself to random acts of terrorism directed at innocent persons in public places; it has not had to internalize a hyper sensitivity to dangers in the streets. 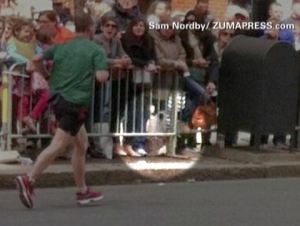 What is normal is that in a crowd watching a marathon no one should have to worry about a stray package. But what is normal may be changing in this country. Let’s hope not. By far most of my childhood memories in Cuba are truly pleasant. I could, of course, do without those that are not. It’s been a long winter, intruding on Spring. And the semester has been more than busy. So Liza and I started Spring Break early, rented a car, and sought out the landscapes of the Hudson Valley, favorites of ours, just for a change. We did not stay overnight, but the car was not due back until the following day at noon. So what can we do in just one morning with a car in the city? Escape the city for breakfast. 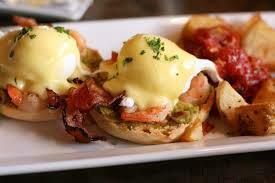 And I mean escape the brunch plague. Yes, New York City has thousands upon thousands of restaurants, but it seems all of them, at least in Manhattan and parts of Brooklyn, have one menu on weekend mornings: some variation of Eggs Benedict, waffles, pancakes, and your choice of a Mimosa or Bloody Mary. Oh, and if you happen to wake up early (as I do), you have to wait until about 11:00 a.m. to make your selection. I like to have breakfast when I wake up, and by midday I’m ready for a real meal, not eggs on English muffins or something covered in syrup. With a car, the choice is clear. 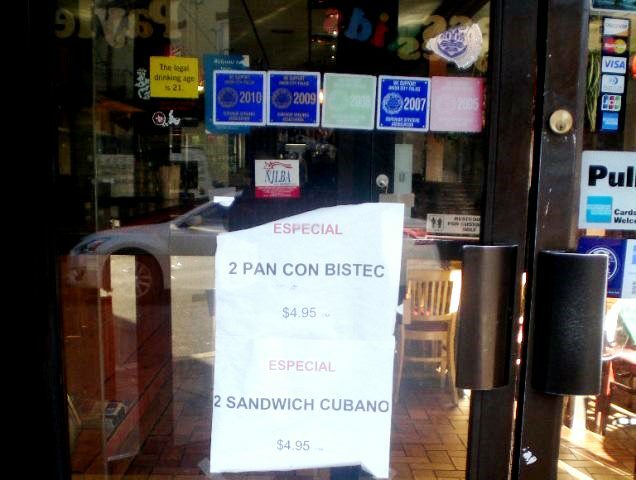 Burrow into the Lincoln Tunnel and come out in Union City hoping for a breakfast we have not had this long winter: a Cuban breakfast. You know what I’m talking about: café con leche, tostada cubana (buttered, crisp, well pressed), and huevos fritos (not runny, with that whitish layer on the yolks that you get by splashing the cooking oil on top while you fry them). We were also hoping for a side of either chorizo, or even better, croqueticas de jamón. In an earlier post, I asked readers of Cuban New Yorker if there are any Cuban places in New York that serve cafeteria fare, because that’s what you are looking for when you go out for a Cuban breakfast. No one suggested a place in the city. 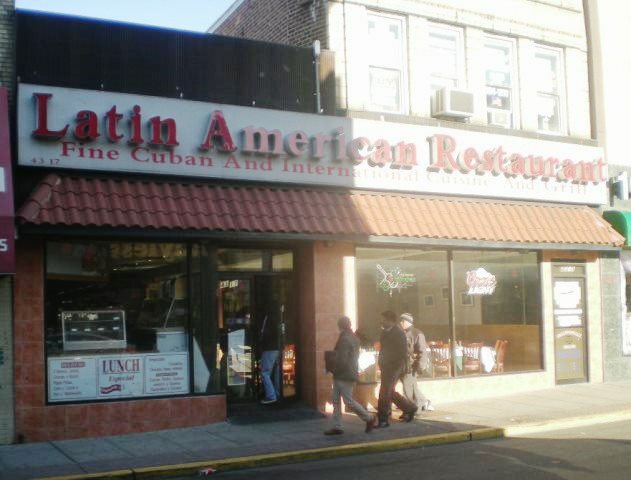 So I went online: “Cuban cafeterias in Union City, NJ.” I was referred to Cuban restaurants in Union City. 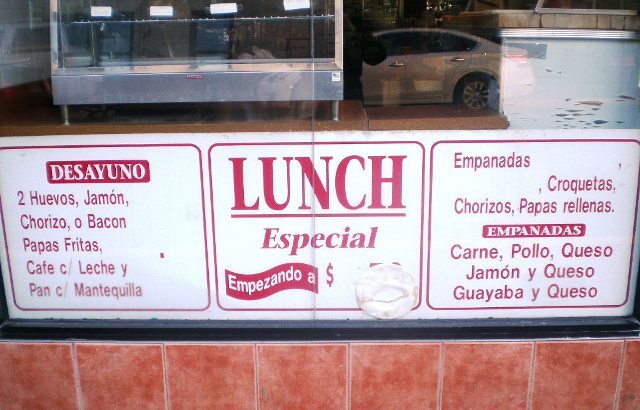 I scanned through the results and saw one with the name “Latin American Restaurant,” evocative of the cafeteria in Miami with the same name. And it opens at 9:00 a.m. every day. That’s what I’m talking about. and, most importantly, desayuno completo, that is, cafeteria fare. As it turned out, we could get both chorizo and croqueticas. 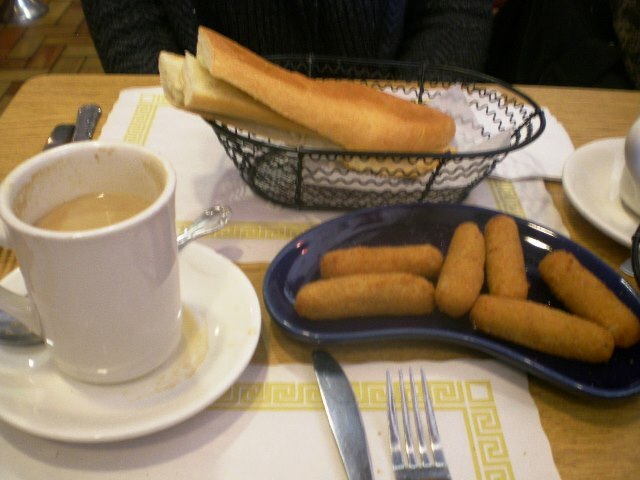 The croqueticas were atypically slender, but they were homemade, fried to order, and light and crispy. The eggs were perfect, as were the café con leche and the tostada. That morning the restaurant was a one-woman operation: waitress, cook, and cashier all in one, which was not a problem since the place was not exactly crowded at 9:00 a.m. (where did everyone go, to Manhattan for brunch?). I did not ask her name since she was initially a bit leery of us when she saw me taking pictures of the restaurant’s exterior. [Maybe sizing up someone’s place of business is not a good thing to do in Tony Soprano’s territory]. But after we started talking she told us she had arrived in Union City (and the U.S.) three years ago, after leaving Cuba through Mexico. U.S. Census data show that the Cuban presence in Union City is declining, in both relative and absolute terms. 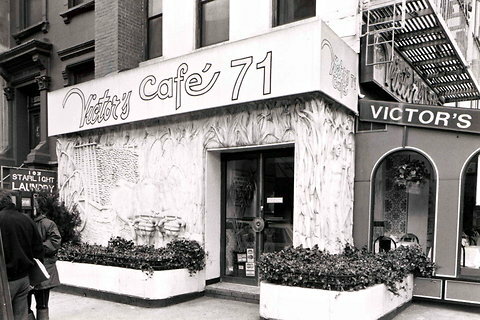 The 2000 Census counted 10,296 persons of Cuban-origin or descent, the largest single Latino-origin group in Union City, but that was already a dwindling number in comparison to the 1970’s and 80’s. The most recent census (2010) found 7,510 persons claiming Cuban origin or descent, with Dominicans now the largest single Latino-origin group in the city (10,020). The figures also show that Union City remains a first-generation (immigrant) community for Cubans. Even as the numbers decline, Cuban-born persons continue to predominate among all persons of Cuban origin. 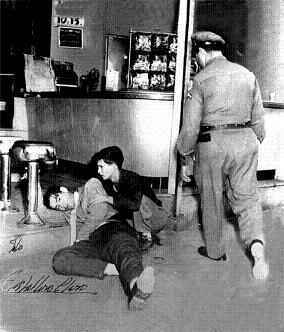 In other words, the children of Cuban immigrants move out of Union City, with new arrivals from Cuba (the preparer of our fine breakfast is an example) replacing them. But they are not fully replacing them, since new immigrants from the island are likely to go to Florida, and so the community in Union City declines. 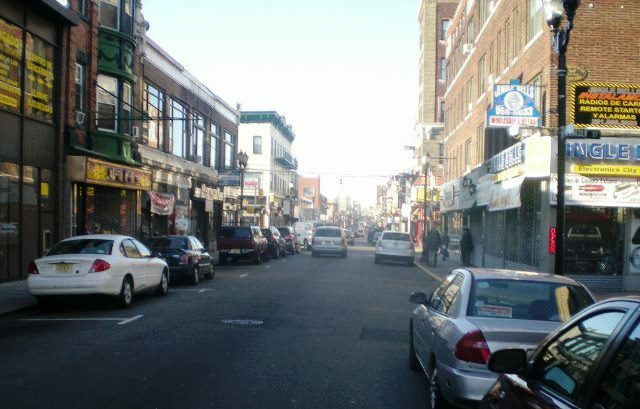 But Union City, and especially Bergenline Avenue, continues to bear the mark of what has been a premier community for Cubans in the U.S. Fortunately, ethnic communities tend to outlive the immigrant generation, at least in terms of businesses catering to the group’s traditional consumption patterns, as evidenced by Little Italys everywhere and even Ybor City in Tampa. I hope so. I plan to go back to Union City for breakfast.